Right now, there is this bear of a task looming on my horizon. It should take me about six hours to accomplish from start to finish, and it's not exactly fun work. If I don't do the following, I'll never get it done, so it's time to get this blog post out of the way so I can get going! One of the reasons I occasionally procrastinate is simply that I'm not ready to tackle the task. I don't have the files (I really should send that email), I need to check in with that one co-worker I'd rather not bother today, or I really should get on the same page with that client first. Whatever the reason, these are all things I could take care of in advance of tackling the entire project. Not everything has to be done at once, but since everything has to be done eventually, why not tackle the preparation today? I find that setting aside the last 20 minutes of my day to organize and prepare for the following day allows me to do this without really thinking about it. This is a difficult one, at least in terms of implementing the practice, but it pays off in spades. If you find yourself having difficulty with procrastination, it can help to change your perspective. Having many things to do does not have to mean burning the midnight oil, but it might mean burning the dawn oil (if that is a thing). Studies have shown that you think more clearly early in the morning than you do late into the night, so why not get things done when you're more likely to do them right? Set that alarm a half-hour earlier and use that time to either tackle that task you've been dreading or tackle other tasks to free up part of your day for what you've been putting off. At the end of the day, this is just good general life advice. Eventually, life can get to be a bit much. Work-family balance can get completely out of control, with each demanding more of your attention than you may feel you have. To avoid this (as much as possible, anyway), it is best to set small goals each day. As previously stated, maybe you set aside a portion of the end of your day to get ready for tomorrow. Break your project into phases, and get it done one phase at a time. It may seem like a simplistic way to get things done, but at the end of the day, you're getting things done. Here's a lesson I've learned over years of project management: Everything has a deadline. People who have worked closely with me know this from experience. I never ask for anything to be done with a vague deadline. I never say "as soon as possible" or "sometime next week." Everything is due on a particular day either in the morning or before the end of that day. It's not that I'm unnecessarily strict, but I know what I do if given a vague deadline, and I need to give myself a realistic deadline for checking up on the project. If I'm given something to do with a soft deadline, I'll usually end the conversation with "I'll have it done by insert day here." Another (probably smarter) method is to tell your boss that you'll give them a day to expect the work by the end of the day. Then, go back to your desk, make sure you're giving a reasonable deadline, and let your boss know. They might not care to have a deadline set for you, but you should at least hold yourself accountable. Here's the fun part. Especially for those big, pain-in-the-neck tasks, get yourself something nice, even if that "something nice" is just that high-calorie drink you usually won't let yourself have. Maybe you take a long lunch at that Indian place or treat yourself to a quiet night in front of that movie you've been meaning to see. Your rewards don't have to be life-changing, but they should be there. The bigger the task, the bigger the reward. You earned it! 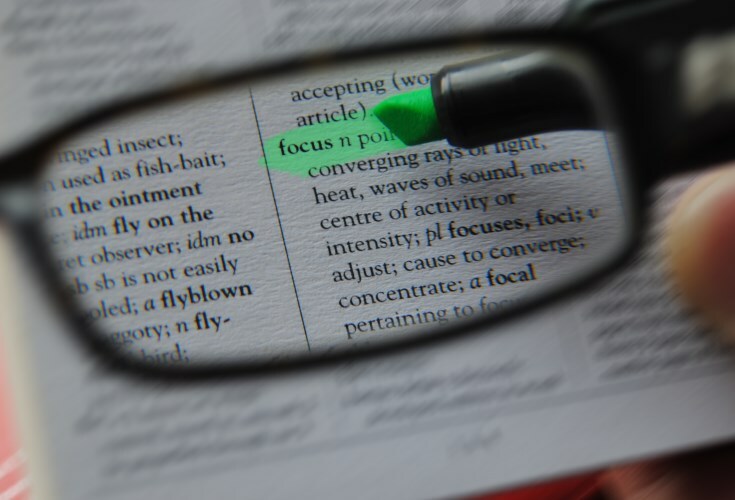 Avoiding Procrastination - How to Stay Focused on the Task at Hand - InLoox • Copyright 1999-2019 © InLoox, Inc. All rights reserved.